Experience the vintage 1950s diner ambiance at Bob’s, including cozy booths and a counter that shines. Have your meal just the way you want it, served with a refreshing small town friendliness, surrounded by comfortable Upstate New York charm. Bob’s is a landmark on Main Street in Bainbridge. Burgers, breakfast food and bakery items: Bob’s has classic diner food, but with so much more! Check out the complete dinner entrees, homemade soups, chili and healthy salads. Stop in for the best burger around or for a breakfast selection that is served all day! Bob Armstrong opened his North Main Street diner in 1935 and, after several expansions and remodels, it is still operating today. Bob’s has a quaint, 1950s classic diner ambiance that continues what Mr. Armstrong created in the restaurant’s early years. 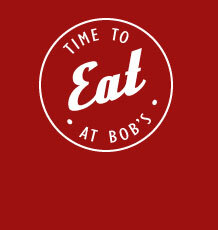 Bring your group to Bob’s where a 1950s-themed, private back room is great for small groups, parties and special events. Bob’s staff will work with you to create a menu that suits your needs, including a buffet or sit down meal for up to 40 people. Use the patio in the summer! Back of Bob’s Ice Cream is open! Back of Bob’s Ice Cream is located just off the patio in back of Bob’s diner. Enjoy a variety of hard and soft ice cream treats with many flavors to choose from. 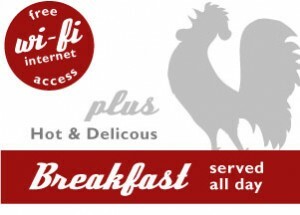 Open everyday from 11 a.m. until 9 p.m.
Classic breakfast favorites, served anytime! Hot and fresh! Milkshakes, home-made cream puffs, delicious pies and cakes! Bob’s burgers are so good, they even have their own special menu! When Bob Armstrong opened his diner in December of 1935 on North Main Street in Bainbridge, the tiny metal building was open 24 hours to serve customers round the clock, and Mrs Curtiss, his mother, did all the cooking! The landmark diner was known for its green trim and huge flower boxes. Within weeks of opening, Bob expanded the kitchen to accommodate his unexpected volume of customers. The diner continued to operate continuously, with various expansions, until 1994 when John Payne purchased it and completely remodeled it to its present look. Read More.